Carolina Ruiz I am validating that this deal works as described. Just apply the promo code at the shopping cart and get 30% Off on your order. 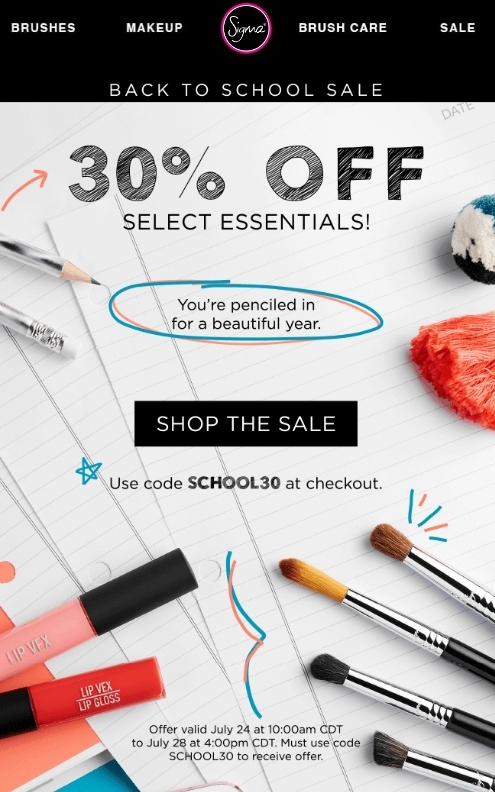 CESAR ROSAS Use code SCHOOL30 to get 30% Off on Select Products at Sigma Beauty. This is a limited time offer. Mayerlin Benevento Offer valid July 24 at 10:00am CDT to July 28 at 4:00pm CDT. Must use code SCHOOL30 to receive offer. 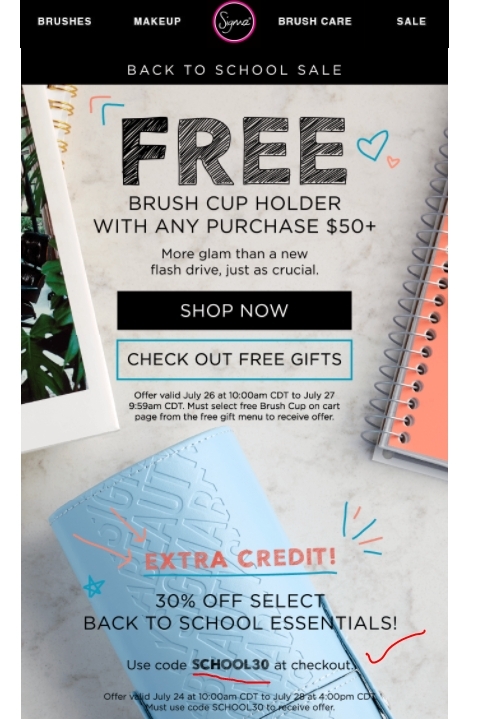 Offer not valid with additional offers or coupon codes. Offer not valid with Partner discounts. Offer valid online only. All payments are subject to verification. Sigma reserves the right to delay shipment, cancel any order or promotion for any reason, without notice. Subject to in-stock levels, no substitutions or rain checks. Miguel Casique The deal works as described, shop around, add the indicated item to the shopping cart, proceed to checkout and apply the code. Levy José Muñoz Macho I am validating this deal. Promo code SCHOOL30 is active and works as described. 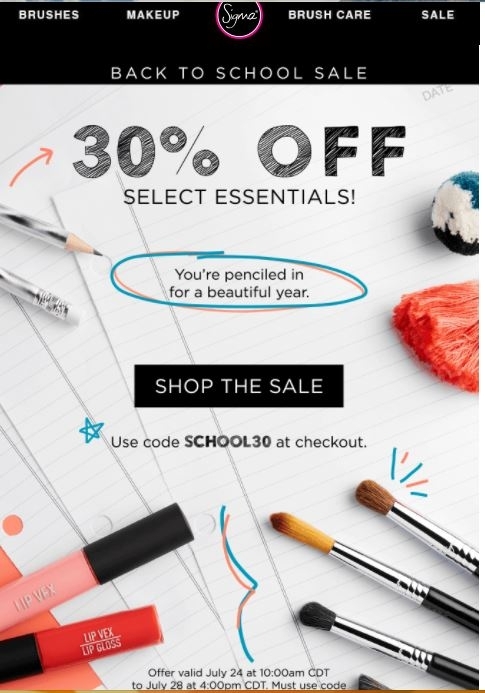 Save 30% Off on Select Products at Sigma Beauty. Offer expires 7/28/17.